The department of Trauma and Orthopaedicsis headed by Dr.S. KARTHIK. 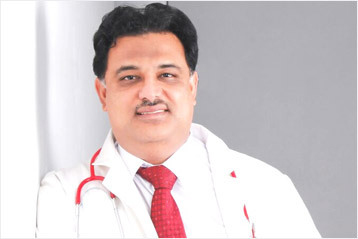 He completed MBBS, in PSG IMS & R between 1990 to 1995. He completed Post Graduation in Trauma & Orthopaedics in SRMC & RI. Following which he travelled to England and completed MRCS (UK) and worked in England for 8 years under Prof. SIMON WEST in Northampton General Hospital. He then undertook Fellowship in Complex Trauma (Fracture cases) in Liverpool Royal Infirmary, UK under world renowned Prof. SELVADURAI NAYAGAM. In Liverpool he was exposed to treatment of failed surgery and trained in Revision Surgeries. He then travelled to Austraila and completed FELLWOSHIP IN ARTHROPLASTY (Joint Replacement Surgery) in Flinders Medical University in South Australia, under Prof.JEGAN KRISHNAN, Prof.DAVID CAMPBELL, Prof.MERCER, They are authority in the field of Orthopaedics. He then travelled to Christ Church, Newzealand for Fellowship in Arthroscopy (Key hole surgery / sports medicine) under Dr.Melon and Prof. Mohammed. In the year 2010 November he returned to India with the motive to serve the people of his home town. He then setup GLOBAL ORTHO & TRAUMA HOSPITAL in Ram Nagar, Coimbatore, South India. He has operated on a number of under-previlaged children with limb deformity thro’ Rotary Club of Coimbatore Green City – PROJECT: ‘GIFT of WALKING’.